Access Health Care Physicians, LLC, is pleased to announce the launching of its new IT Platform – Claims Lite. 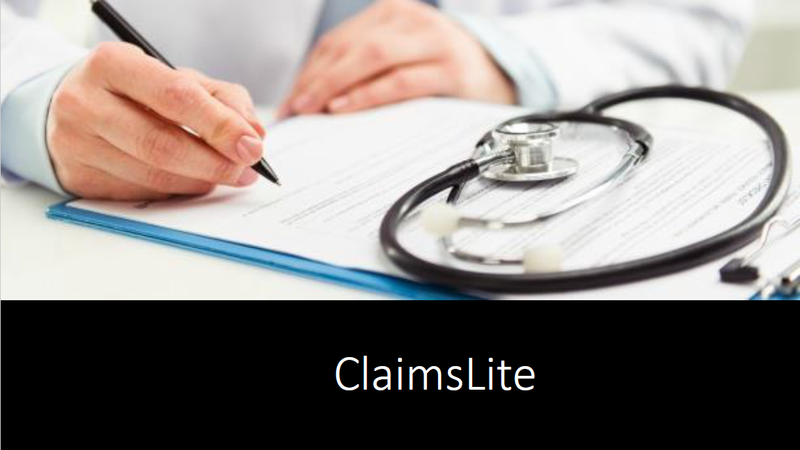 Claims Lite is an organizational program built on technology that has been designed to effectively work as an IT Solution in the Health Care industry for managing paper claims. It allows for professional healthcare offices to submit and track claims easier than ever before. “With the launching of this platform we expect to increase the quality of care and produce a positive experience for healthcare providers and patients along with better compliance systems and Revenue Cycle Management" said Carlos Arias, Chief Operating Officer of Access Health Care Physicians. Claims Lite offers an online submission of professional, institutional & dental & tracking of claims. Thus it acts as a gateway to various forms of healthcare reimbursement. The technology has been designed by professionals in the IT health industry. It has been reviewed and tested by physicians in the field. This has resulted in constant improvements. Claims Lite brings forth advancement in Healthcare Technology that has till now been lacking in this category. Ø Converts paper claims to electronic claims for professional, institutional and dental claims. Ø Attaches one or multiple paper claims while creating or updating claims. Ø Tracks the status of claims from creation to dispatch. Ø Managing different queues based on the status of the claim. Ø Generation of professional, institutional & dental EDI file. Ø System automatically places uploaded paper claims into different queues based on the type of claim. Ø Provides the statistics of claims based on their statuses & type of claim. Ø Configurable system to support multiple payers and receivers. “We believe we will be able to improve Care Management and stratify high-risk patients so that they may receive intense and directed Disease Management services. The platform will also improve outcomes and patient engagement along with enhanced population medicine metrics and improved continuity of care of our sickest and most needy,” said Pariksith Singh, CEO of Access. Access Health Care Physicians, LLC is a multi-service medical practice consisting of over 175 healthcare providers and over 915 employees at more than 110 locations throughout Florida. Our healthcare professionals provide a wide range of services not only in our offices but within patients’ homes. Yes, we make house calls.